Coffee…I got the skrill together to try your mad science, but I never saw you come back with the formula! Did the biggies come and buy you out? RU bound and gagged in some factory out in Jersey and need our help? haha… Anyway dude, come help yo brothers out! Even if it has to be thru private message. You had some pretty fab results…that could lead me to get a FUE. Still here, things have just been very busy lately. For a month or so, haven’t been spending a lot of time on the regular treatments, but did start a cycle again last week. Previous results are still there, and still planning to continue experimenting with the regular needling followed by LiCl/milk thistle solutions. Still not convinced that this has contributed more than the propecia and minox I’ve been using, but I want to know and will keep investigating to see what the results are over more time. Still using the same EGFR- and WNT+ solutions that I was using before in previous posts. Only thing that I’ve changed recently has been that I’ve acquired a box of dermarollers which have needles of approximately the same dimensions as the modified lancets I was using. This seems to knock the time required for the treatment way way down, making it possible to do in a minute or two, which is nice. » two, which is nice. Good to hear from you and I’m glad your results seem to be lasting! 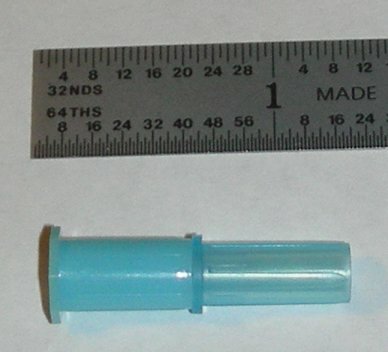 What size (mm) is the dermaroller which most closely approximates the lancets you previously used? 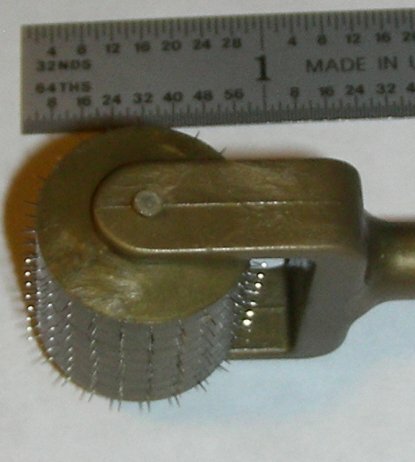 Do you think that it gives a similar effect in terms of wounding as the lancets, now that you have tried it? I realize this is a bit of a stretch, but do you think you could make some sort of protocol to determine to what extent the results are from needling? It is reasonable to assume the effect of needling would be highly localized to the treated area, whereas the effects of finasteride are systematic and affect the entire scalp. So if you tried to needle only the right side of the scalp - just long enough to determine if needling works - we would be able to determine its effects. As soon as you see a slight difference, just start needling the other half until they are “level” and then take it from there. I don’t think anyone else would notice. Alternatively, a small area could be excluded form the needling protocol instead of half of the scalp. Or you could just needle a small area. » lancets you previously used? 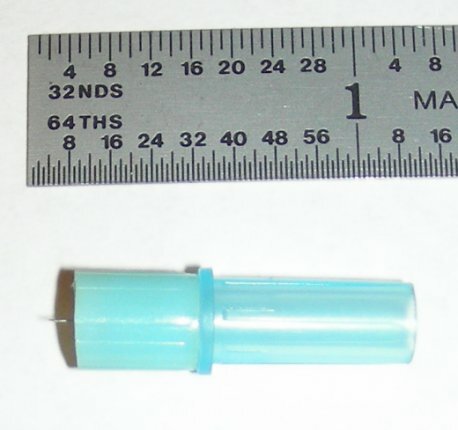 the lancets so as to expose 0.075 inches (0.1905 centimeters). does change the precise type of wound created somewhat. » lancets, now that you have tried it? » then take it from there. I don’t think anyone else would notice. » instead of half of the scalp. Or you could just needle a small area. and then the milk thistle/LiCl solution was used. Looking at the photo, the length seems 3 mm not 1.5mm. Can you give us the link where you bought it? I have the feeling gthat needling is better than dermaroller. » Looking at the photo, the length seems 3 mm not 1.5mm. I don’t agree. It looks like ca 1.5 mm to me. The needles are about 4/64ths of an inch, judging by the tape measure. And 4/64 of an inch = 2.54/16 cm = ca 1.6 mm. 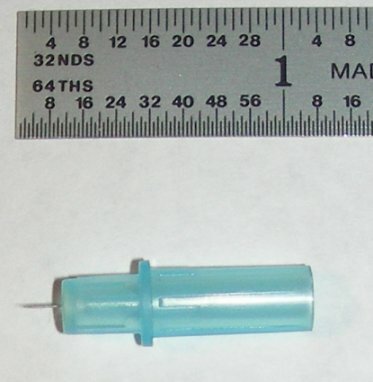 » » Looking at the photo, the length seems 3 mm not 1.5mm. » 2.54/16 cm = ca 1.6 mm. applies here, so I think 1.5 mm is correct but the ruler is confusing. » Can you give us the link where you bought it? » » Can you give us the link where you bought it? Can we see you situation? » Can we see you situation? Riccardo123, he has already posted images of his hair. The images are in another thread. With a minimum of effort you’ll find them.